In the remote Aspromonte Mountains in southern Calabria, Italy, three best friends embark on a life of crime in order to raise themselves up out of the poverty of their childhoods. Brainy Luciano, the behind-the-scenes schemer, was orphaned as a little boy when the local mob boss had his postman father executed. Lazy, jovial Luigi has learned that there’s no point in following the rules. And completing the triumvirate is the nameless narrator, from whose black soul comes the inspiration and energy for each new criminal project, from kidnapping to armed robbery to heroin dealing to contract killing. 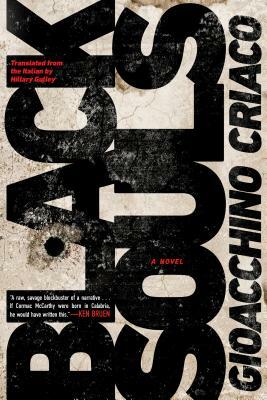 Set in the birthplace of the ‘Ndrangheta, Calabria’s ruthless and ubiquitous mafia, Black Souls draws on centuries of brigand lore, peasant rebellion history, mountain mythology, and colonial suffering to offer a gripping morality tale about how violence begets violence. "There are few comparable crime novels today. Stuart Neville’s haunted fiction set in the Troubles of Ireland may come close."